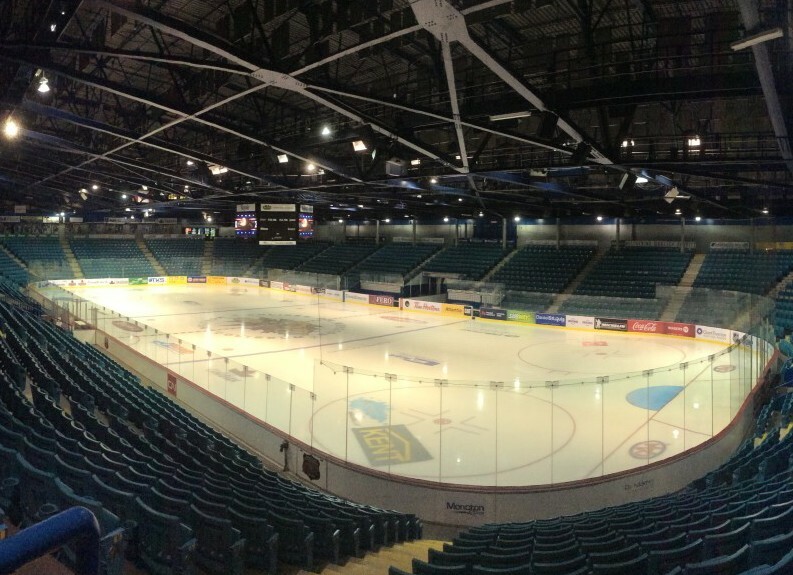 The Scoreboard Man worked with the Quebec/Maritime rep, Francyne Caron, and Nevco’s large venue specialist, Eric Light, in recently upgrading the Nevco Scoreboard and Video System at the Moncton Coliseum, Moncton, NB. 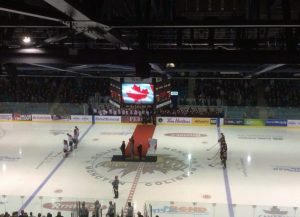 In late October 2014, Moncton City officials recognized a new Video System was required for their existing 6-sided Scoreboard. After being contacted by City officials, the Scoreboard Man put together a project team with Nevco and visited the Coliseum site in late November, assessed the situation, and presented a proposal in early December 2014. The City confirmed an order to The Scoreboard Man at the end of December and the Nevco team manufactured and delivered the new screens with Display Director OS on Jan 24th, 2015. The installation was completed in time for the Home Game on Friday Jan 30th, 2015.